Look at your IP through a new lens. 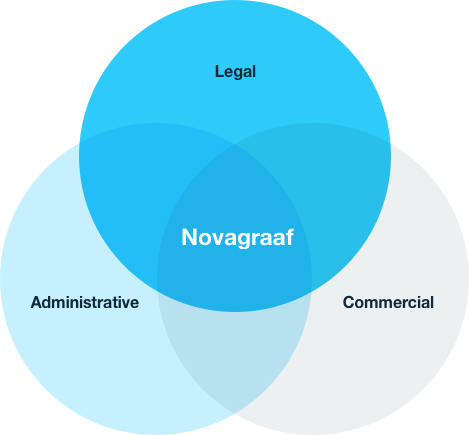 Novagraaf combines law firm know-how and capabilities with the innovations and efficiencies of a global IP service provider. Stay up-to-date with important developments, upcoming events and news from the forefront of intellectual property by subscribing to our newsletter Perspectives. Novagraaf has been ranked the EU's leading representative, with the most trademarks under management, at both EUIPO and WIPO. INTA's Annual Meeting is the world’s largest event for trademark professionals. You will be able to find Novagraaf at booth #535 in the Exhibition Hall, where our experts will be on hand to advise on brand protection challenges and changes in IP portfolio management. We provide the experience and tools to drive tangible competitive advantage, deliver process efficiencies and to help you realise the potential of your IP. Looking to take your approach to IP management to the next level? Partner with us to benefit from business-focused legal advice that is fully integrated with efficiency-gaining administrative processes and tailored IP support.